Get ready for your close-up and a little AIR TIME (MIRA Books, September 2009) with Agatha-winning mystery author and Emmy-winning TV reporter Hank Phillippi Ryan. Charlotte McNally, the smart and savvy heroine in Hank Phillippi Ryan’s mystery series, knows the secrets to looking fantastic in front of the camera. The grand prizewinner in Hank’s July contest can tap into that glamour with luscious lip glosses, powders, shadows and brushes from the ultra-hip selection at Sephora. The winner will also receive a signature ChicoBag and an autographed copy of PRIME TIME and FACE TIME. Four great prizewinners will each receive a limited edition Hank Phillippi Ryan tote bag. Star reporter Charlotte McNally enters the glamorous and high-stakes world of high fashion...and soon discovers when the purses are fake—the danger is real. To break her latest big-money blockbuster, Charlotte must go undercover—but what if the bad guys recognize her? This savvy TV journalist must face more than her fear of flying when her inside scoop on designer duplicates suddenly turns deadly. Carrying a hidden camera and dressing to deceive, Charlie finds she's not the only one disguising her identity. Nothing—and no one—is what they seem. And that means nothing—and no one—can be trusted. In her high-risk job and in her suddenly steamy love life, how can she tell the real thing? Charlie is forced to make some life-changing—and life and death—decisions. With only a split-second to act and with her own life in the balance, Charlie knows if she chooses wrong it will be the last decision she ever makes. Visit www.HankPhillippiRyan.com for breaking news on the award winning author and her Charlotte McNally series. 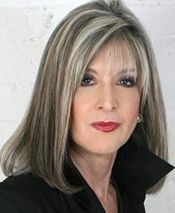 You will be added to the Hank Phillippi Ryan mailing list to receive occasional notices of interest. You'll also be added to the Fresh Fiction News. Unsubscribe options are available with each issue.